Abstract class used to diagnose incomplete types. Definition at line 1581 of file Sema.h. Definition at line 1582 of file Sema.h. Definition at line 1585 of file Sema.h. 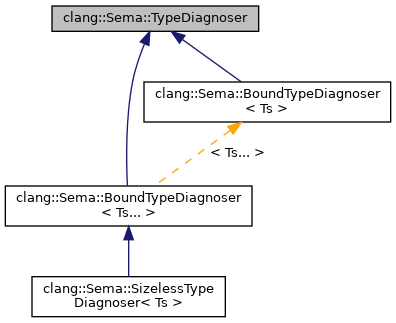 Implemented in clang::Sema::BoundTypeDiagnoser< Ts >.